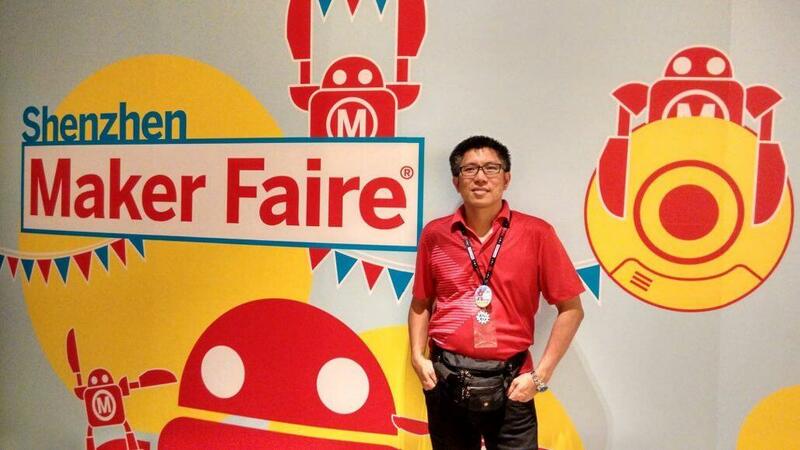 The Maker Pro You Should Know – Meet Stanley from Malaysia! 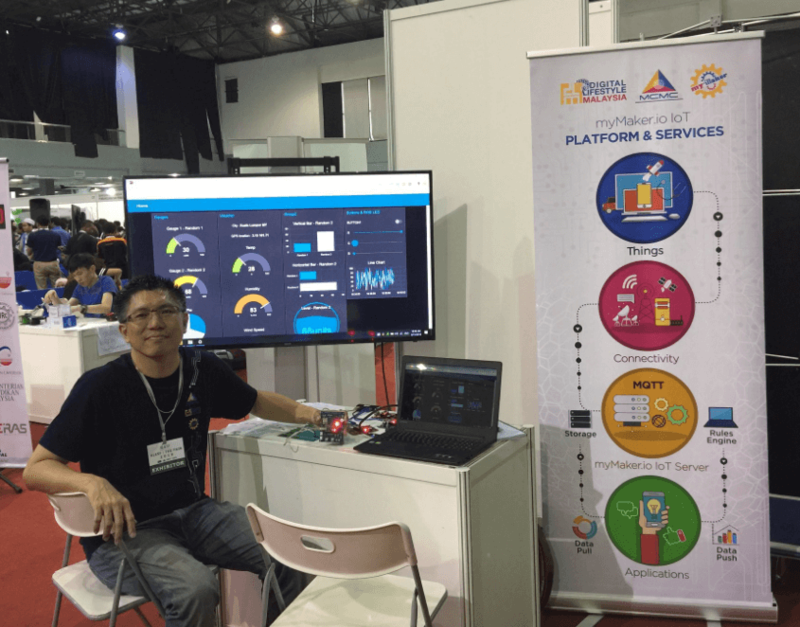 For those of you who have been to Maker Faire Shenzhen or the Penang Mini Maker Faire in 2016, you may have met Stanley Seow, an Internet of Things consultant by profession, embedded hardware designer, electronics maker and a mentor at Hackathons. But if you haven’t, fret not, because we here at Seeed Fusion had the honor of catching up with him! 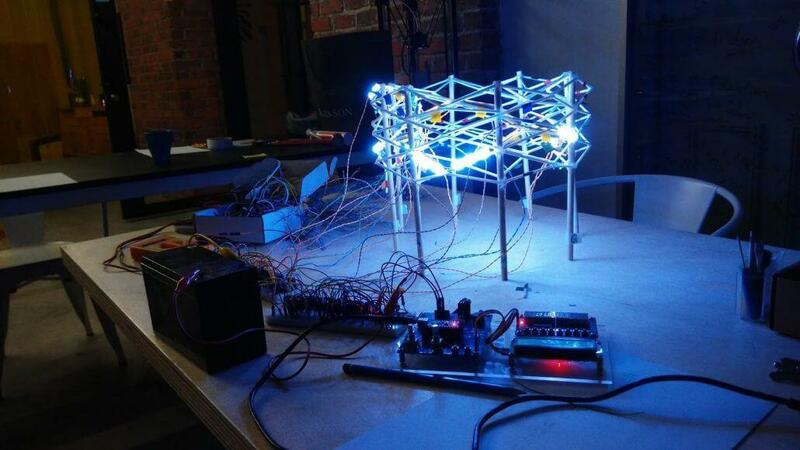 Most of Stanley’s work revolves around designing hardware solutions (PCBs) for IoT solutions and programming the brains of large interactive art installations. 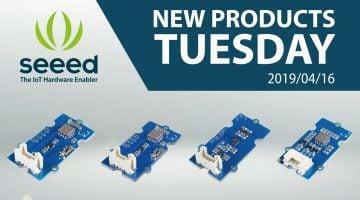 Throughout his journey as a maker, Stanley has been utilizing one of Seeed’s most popular services, the Seeed Fusion PCB service, a one-stop manufacturing service for fabricating PCBs. Like many Seeed Fusion services, you can get complete quotes up front in seconds and monitor your order online. 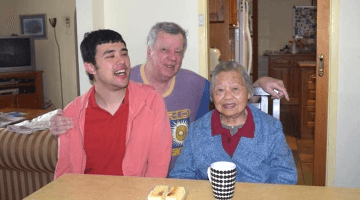 Over the years, Stanley has completed a slew of projects that are nothing short of amazing. Who says art and science have to be mutually exclusive? By specializing in incorporating electronics into art, Stanley has proven to us time and again that it is possible to marry technology and art, creating many extravagant and flashy projects. Of all the projects that he has ever completed, the Bolt was his best and toughest project yet. 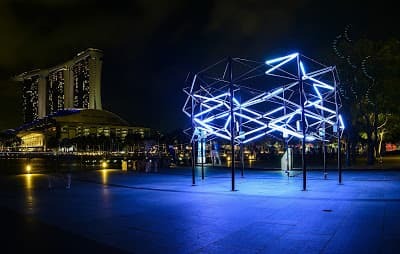 Engaged by Malaysian artist-architect Jun Ong, Stanley has helped bring the Bolt to life for the 2016 iLight Marina Bay Festival event in Singapore. When a button on the massive art installation is pressed, sequences of lightning bolts are simulated, creating a beautiful web of lights against the night sky. Standing at a height of 3m and a width of 6m in an octagon shape, the Bolt stole the show every night during the event, emerging as one of the most popular structures for the whole month of March in 2016! Cool, isn’t it? But behind its blinky exterior lies months of hard work. After understanding the requirements of the art installation from the artists, Stanley began exploring ways to power the LED strips. After weeks of searching, he finally settled on using the Inter-Integrated Circuit (l2C) protocol. To control the lighting sequences on the LED strips that line the structure, all the coding was centralized on an l2C master Arduino which is used to command 8 passive I2C slaves. The idea was to use the delay() to turn the LED strips on and off. Before constructing the actual structure, architecture students from Taylors helped to build a small scale prototype of the Bolt out of lollipop sticks and lots of hot glue. 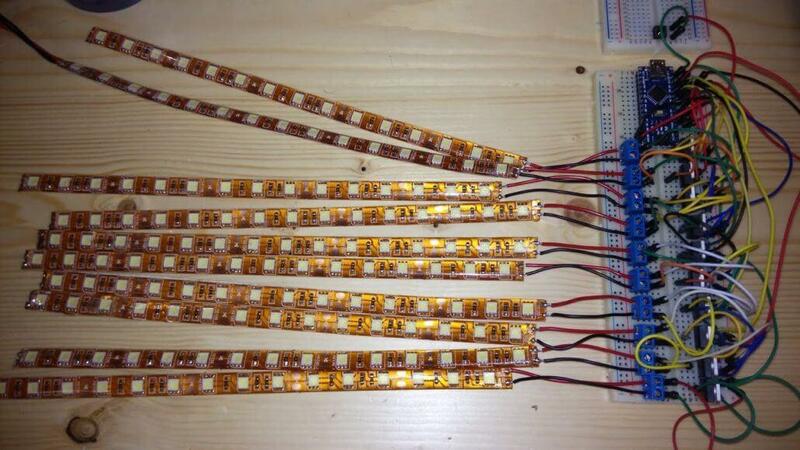 Next, to drive around 80 pieces of 1m LED Strips, about 80 MOSFETs were used. Once that was done, Stanley migrated the design onto custom designed PCBs, as he found soldering 12 LED strips to 8 l2C slaves on a perfboard much too tedious. Using the popular Autodesk Eagle PCB design software, Stanley created the schematics diagram and board layout for the 12 MOSFETs driven by 12 pins of the Arduino Nano. 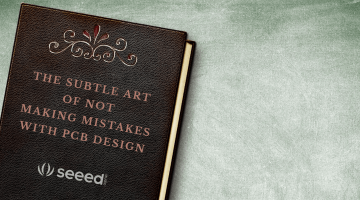 Usually, Stanley would take weeks to correct errors from his design before sending them to production. Unfortunately, the project was on a tight schedule and he sent it for manufacturing after only 3 revisions within 2 days. 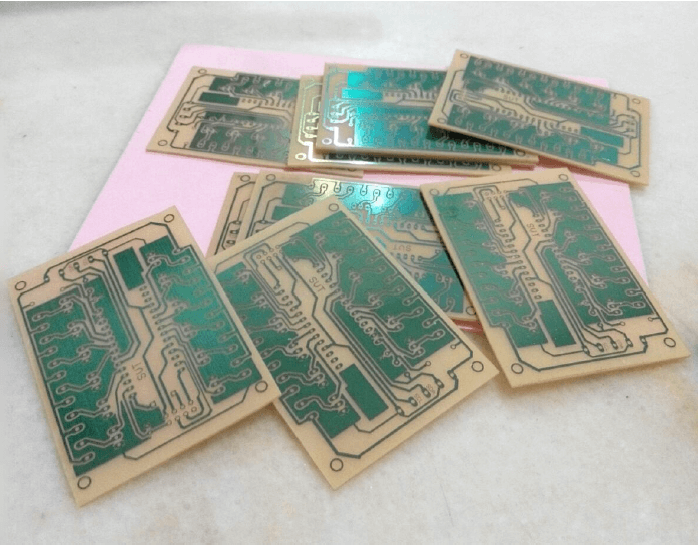 With time running out, he decided to engage his usual partner in PCB manufacturing for quick turnaround and quality service. After fixing many circuit errors on the PCB, he finally hooked it up to the prototype for testing, and the model looked exactly like how it would at night with the LEDs turned on. Stanley wasn’t lying when he told us that the Bolt was his most complex project. He and his team essentially did the project twice, once on the model and another time on the actual art installation. 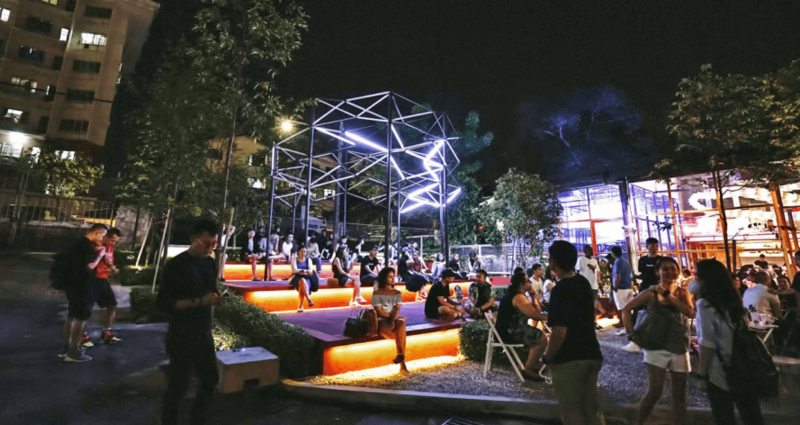 After the Bolt’s short one-month stay at the iLight Festival, it returned back home to Malaysia in APW Bangsar where it currently stands today. Although the buttons have been removed and the lightning sequences now run automatically, new sequences have since been added to the Bolt. So, if you happen to drop by Kuala Lumpur, do consider dropping by this entertainment hub to see this beauty! Aside from the Bolt, The Quantum Laser is another art installation that Stanley has made. 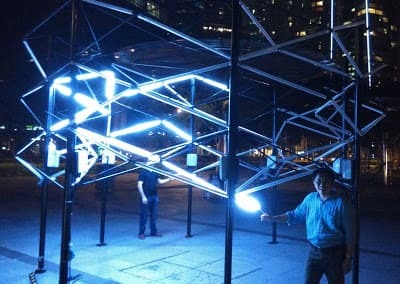 Joining hands with artist Jun Ong once again, Stanley designed and built this laser art installation for “Richard Feynman’s Curious Life exhibition” as one of the three art pieces for the ArtScience Museum in Singapore. Why the name “quantum” laser? That is because the working principle of this art installation lies in quantum physics. The moving mirror pieces have to be positioned accurately in order to reflect the laser to multiple paths. 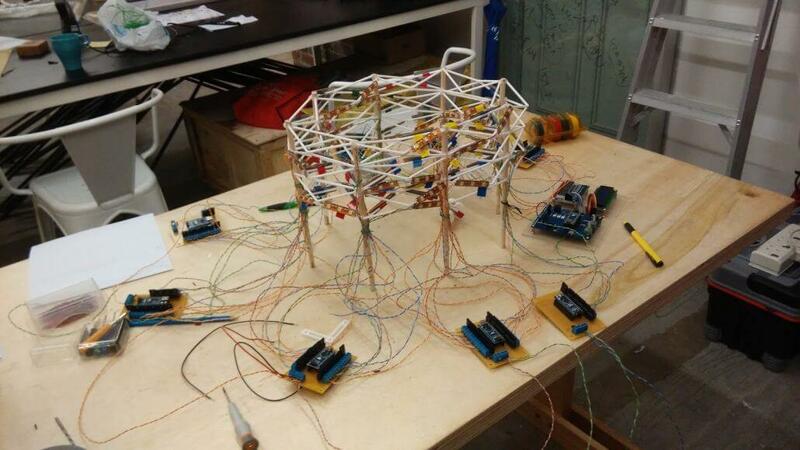 The art installation consists of a centerpiece with servos. 3 lasers are positioned at different angles from each other, controlled by three relays to produce different paths. Another two relays are used to turn a smoke machine on and off so the smoke is dispensed at regular intervals. Stanley also connected the entire setup to the Internet via VPN, so that he can remotely change any Arduino codes in the future. Over the course of his teaching, Stanley observed that the biggest stumbling block for students who are just getting started with Arduino, is learning the programming language, electronic circuits and components all at the same time, while dealing with the risk of damaging the Arduino if the wires are hooked up incorrectly. 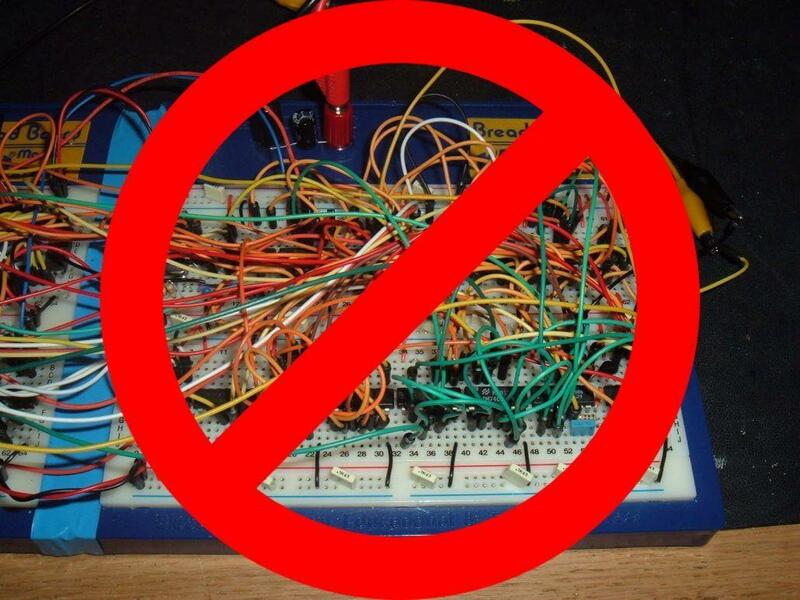 Say goodbye to breadboard toast and spaghetti wire mess! 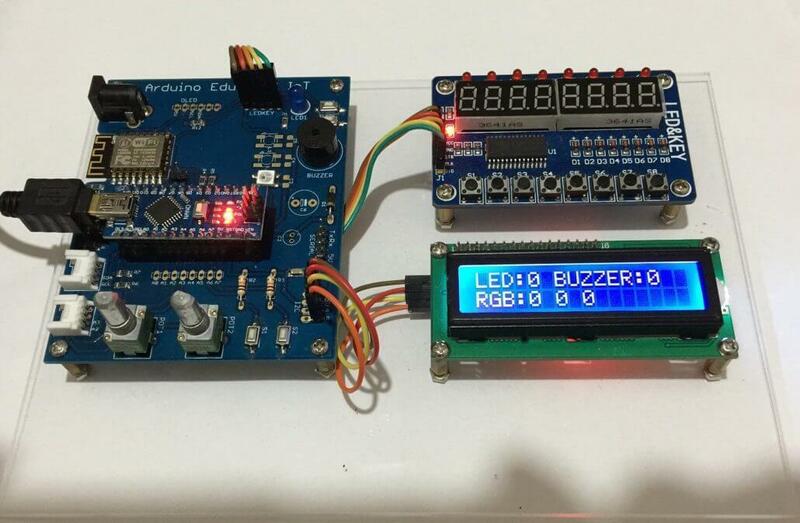 Thus, to enable students to get to grips with Arduino and its programming language effectively, Stanley specially designed the Eduboard. A board that cuts out the wiring nonsense and makes coding and electronics fun and enjoyable. But the Eduboard is not only a useful teaching tool, it also finds practical uses in projects as well. In fact, it was used to drive the LEDs for the Bolt prototype! Named after Stanley’s amateur radio callsign, 9W2SVT, the SVTrackR is Malaysia’s first open source Arduino based APRS Tracker. 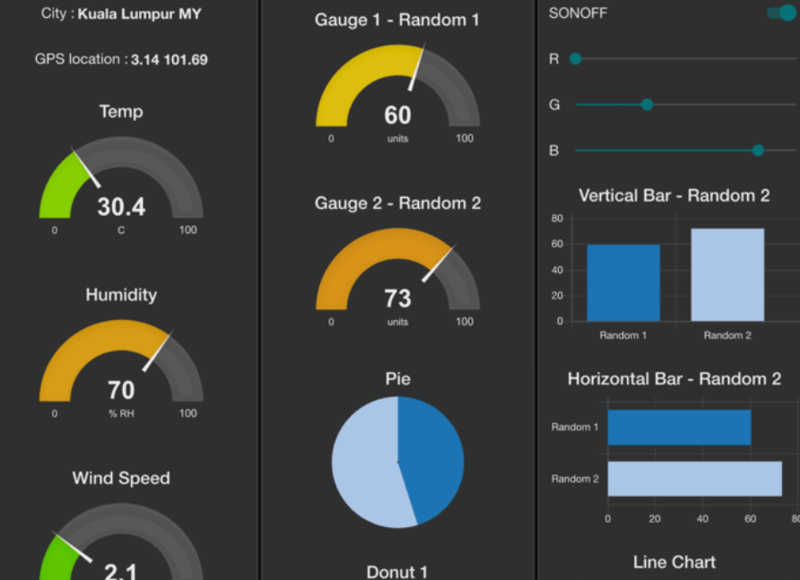 All other APRS trackers are closed source or have to be imported to Malaysia, so this prompted Stanley to build this tracker using commonly used components and open hardware design. 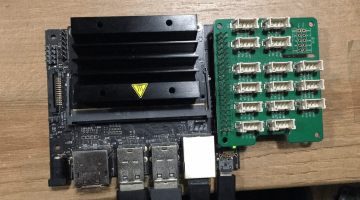 For the modem and tracker, Stanley designed two separate PCB boards and used the Seeed Fusion PCB service to fabricate them. 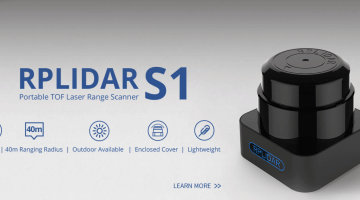 As a testimony to its success, Stanley has been selling this APRS tracker to amateur radio users across West Malaysia in Sabah and Sarawak. 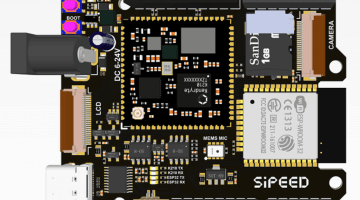 Fancy making your own APRS Tracker? Stanley has made the source codes available at his GitHub repository. 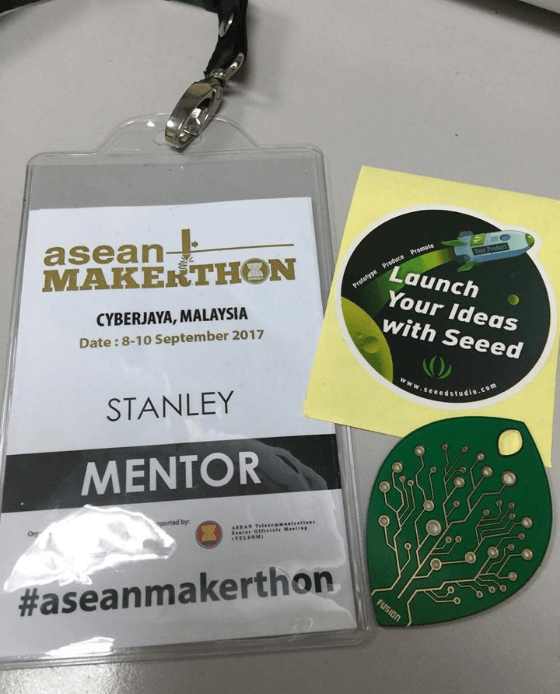 As the head of IoT Initiative at myMaker, an organization of makers under Digital Lifestyle Malaysia, Stanley has set up myMaker.io Server and Services. 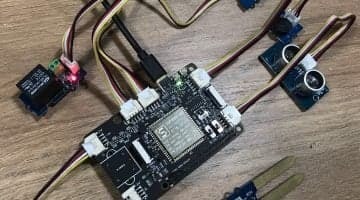 With the myMaker.io IoT Sever and Services, business students, lecturers, researchers and makers can take advantage of the free service to collect sensor data and complete “Proof of Concept” IoT projects to test and further improve their IoT ideas, potential products and theories. 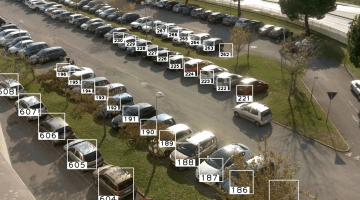 The server collects, stores, analyzes and displays sensor data to a dashboard, a graphical representation of the collected data. From gauges, pie charts, line charts, bar charts, water levels, maps and even wind direction indicators, there are various graphics options to choose from to find the one that best presents your data. Practical uses for the data collected includes monitoring the growth of plants. When used together with weather data, other sensors like water retention in the soil, rain gauges, pH level and wind direction sensors can enable you to better analyze and predict the growth level of your plants. Some proof of concept data collected includes monitoring meeting room usage and temperature and humidity control. Stanley deployed this in a project designed to precisely monitor the growth of plants cultivated under artificial lighting. 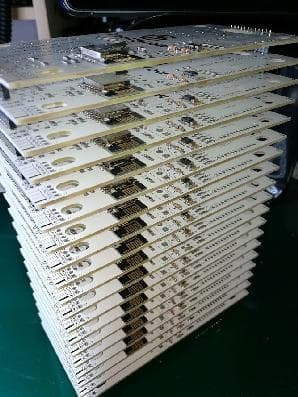 This hefty stack of boards collects the sensor data from 16 growth lights and transmits it to the cloud for processing. Impressive PCB stack to control growth lights and transmit data to the cloud. So here are 5 of the many projects Stanley has done. When we asked him if he had any interesting plans in store for the Shenzhen or the Greater Bay area, he told us that he would love to work on any art project collaborations when the opportunity arises. Perhaps in the near future, we might see one of his art installations here in the kingdom of manufacturing. So stay tuned! Looking for someone to collaborate with for your next art installation? 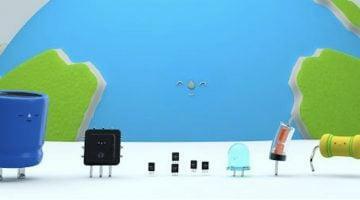 Or want to find out about Stanley’s other awesome projects and all things IoT? Visit Stanley’s Facebook page and drop him a message @SVTmaker, where he chronicles his projects, research and development plans, and updates information on his training and workshops. 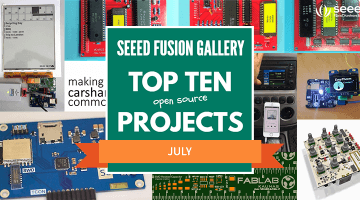 Interested in finding out how you can also create great projects? A great project is never without a good quality PCB, and we at Seeed Fusion will be waiting right here to lend you a helping hand! 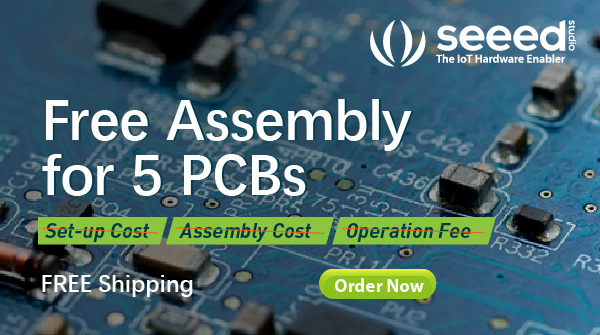 You can count on the Seeed Fusion PCB manufacturing service to deliver quality PCBs of both simple and complex designs, for small quantity and large scale productions at great prices. Find out why we are Stanley’s go-to manufacturer here. Next post ALL NEW Seeed Originals Update! 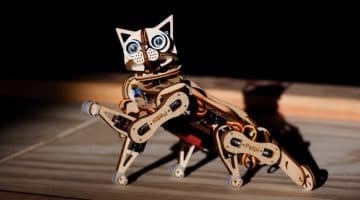 Nybble, Previously OpenCat, is Online on Indiegogo!